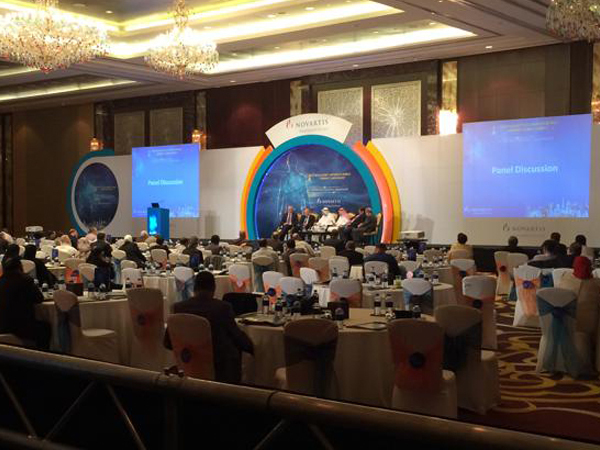 Conference & Exhibitions in Dubai is what you can go for to build successful meetings. Whether to confer about a particular topic, or to present certain results, you will need an innovative Conference & Exhibitions, Conference Rental Suppliers, Exhibition Suppliers and AV Hire that will reflect the core of your company’s services, your concept and messages you believe will emit a difference. At UltraTech we offer the most impressive of ideas for your Conference & Exhibitions, Conference Rental Suppliers, Exhibition Suppliers and AV Hire in Dubai along with all required facilities required to make your event a great attainment. Conveying your messages proficiently is the key to a successful Conference & Exhibitions, Conference Rental Suppliers, Exhibition Suppliers and AV Hire in Dubai as well as seminars and business roundtables, it is what we offer you and it is what we do best! Experts at UltraTech will undertake to provide you with best planning and organizing even for every tiny detail of your Conference & Exhibitions, Conference Rental Suppliers, Exhibition Suppliers and AV Hire in Dubai. We want you to impress your audience, and therefore we undertake to attend to every dynamic detail that can emit the difference and turn your conference & exhibitions in Dubai into a successful event that is impressive and exclusively effective. Our Proficient team will go through all what you have in mind and make sure to completely understand your goals of holding a particular Conference & Exhibitions, Conference Rental Suppliers, Exhibition Suppliers and AV Hire in Dubai. Accordingly they will ensure to set the right tone and create the right atmosphere for your special conference, also they will alter to exactly the right perception so as to make your occasion a spectacular one that will definitely exceed all expectations.